Our company has grown since 1910 over several generations of passionate chesse makers succeeding one after another to head the business. Very different men who knew how to adapt to the changes of the company over time. 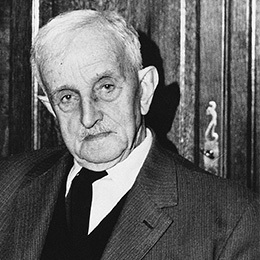 Farmer, cheese maker and then refiner, Eugene Graindorge set up the cheese factory in 1910. It was at a time when cheese was being made in farms and sold on to refiners. He was, like most his friends, processing the milk from his cattle into Livarot cheese. The “Grand Père” or Grandfather was to become a master cheese refiner himself by 1920 and set up in Livarot. 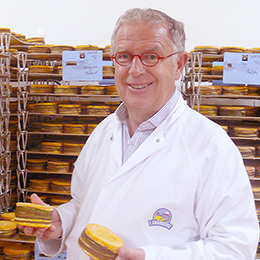 He eventually was buying cheese for refining at his farm in La Perelle. It was in 1959 when Bernard Graindorge first turned the operation into an artisanal cheese making practice. Production began to increase as Eugene’s son started collecting milk from the nearby surrounding farms. This was a time when Parisian tables discovered the Protected Designation of Origin or PDO-accredited E. GRAINDORGE Livarot cheese. This know-how was passed on from father to son. 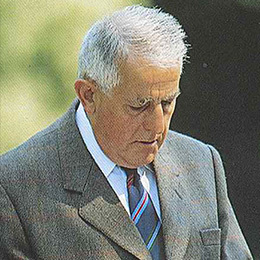 From 1970 Thierry Graindorge embarked the cheese dairy on an immense modernization programme with the development of product ranges such as PDP-accredited Pont L’Evêque, PDO-accredited Camembert de Normandie and PDO-accredited Neufchâtel, which accompany Livarot on the E. GRAINDORGE cheese platter. The cheese maker adapts to consumer, distribution and agri-food standard demands, without losing anything of the soul of its origins. 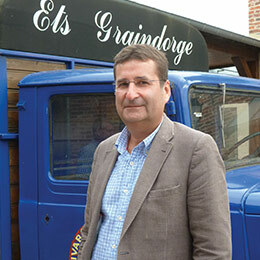 Since 2016, the E. Graindorge fromageries are managed by Bruno Lefevre, who himself comes from a family of cheese-makers. Deeply attached to his region, he is committed to handing down knowledge of over a century old. The E. Graindorge cheese plant is situated in the heart of Normandy in the Pays d’Auge bocage countryside and enjoys ideal climate and agricultural conditions to make Protected Designation of Origin cheese from Normandy. The Pays d’Auge is perhaps the most natural and most distinguished regions in France. The soil is rich and fertile and the climate is particularly favourable. The generally mild temperatures, without any major differences in seasons, the abundance of rainfall distributed over many days make the Pays d’Auge partial to pastures and cattle. The Norman cow located under the apple blossom is not just your stereotypical image. It is the emblem of Normandy, which Graindorge seeks to defend. It is from here that the Graindorge cheese dairy makes its PDO accredited cheeses with milk from a maximum number of Normandy cowherds, which are mainly grass-fed. It encourages farmers to favour Normandy cows race, on the one hand because of its milk known for its qualities suited to the production and refining of PDO-accredited Normandy cheeses, and on the other hand to maintain the Normandy cow as a breed best suited to its region. Normandy cows have white coatings with brown marks. They live in the grassy pastures for one half of the year and indoors in the barn during winter. They only feed on grass and fodder enriched with some natural food supplements. Raw milk coming from Norman cows guarantees the best taste and pleasure, and is completely safe. The milk is deemed “raw” when it is not subjected to heat treatment during processing. This is milk in its purest form, like in the farms of yesteryear. It exposes all the flavours of the land or as we say terroir. This is why the cheese may taste differently depending on the season. E. Graindorge cheese dairy collects its milk from 120 nearby producers. Working with farmers adds greatly to the quality of the milk and therefore maintains the quality of the cheese and hence its distinctive flavour.